To avoid any misunderstanding, we undertake all inspections in accord with Australian Standard 3660.2-2000 or in the case of pre-purchase inspection, the Australian Standard’s 4349.3-.1998. If you wish, you can obtain copies of these standards by calling Defence Pest Management. All inspections are non-invasive and are limited to areas of the property where access is readily available and permitted. Any areas where access was limited or restricted is noted in the report with advice for further inspections. 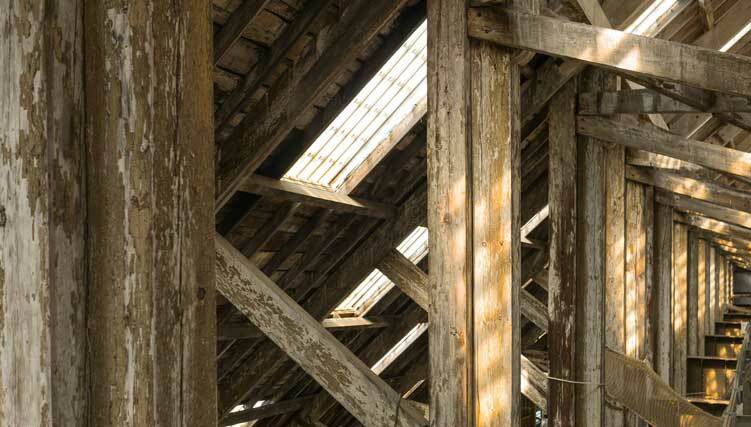 The Inspector will be using a tapper to determine the sound in some timbers or may use a sharp knife to carry out splinter testing on structural timbers, either in the roof or the subfloor. Splinter testing will only be carried out where the person who has ordered the report is also the owner of the property. It will not be done for a pre-purchase inspection without the written permission of the owner. The inspection is a visual inspection only. Restrictions to this visual inspection will not be moved. There will be no invasive cutting, breaking or dismantling to gain access. A more invasive inspection is possible and may be done on the same day and time, but only with permission of the owner. By its nature, a building has many concealed areas. There may be roof areas with no access or the area between floors. Floor coverings can be restricted by stored goods. Sometimes there is inability to gain full access to areas like the eaves because they are simply too low. A termite inspection does not have a warranty that there will not be any future infestation of termites. Or in some cases, the infestation is in its infancy and not able to be found at the time of the inspection. Our reports will indicate the degree of damage ranging from moderate to extensive and are only in the opinion of the inspector’s. A more invasive inspection would need to be undertaken to determine all the damage and its degree. This is done by a builder in conjunction with the pest inspector. These invasive inspections are also necessary to evaluate the cost of repairs. If termites or even evidence of termites are located within the boundary of the property, then you must assume that damage may exist in areas that are not visible. Evidence will only be located when these restrictions are removed. In the report, you will find a list of definitions. The report needs to be read in conjunction with these definitions. It is very critical to note that in any inspection for termites, if there is evidence but no active termites located (regardless of whether a treatment has been undertaken), it may be possible that termites are active or may not be active in that area or nearby. It may only be determined by future inspections, that is why the Australian Standards recommends a yearly inspection on properties without any evidence of termites and less frequently (six months or even three monthly) on properties where there has been previous evidence of termites. With Defence Pest Management, we go beyond the Australian Standard with the equipment that we use. An essential part of our equipment will include Termatrac. This is a microwave device that picks up movement inside walls. It is used in conjunction with the moisture meter. Moisture meter picks up a variation of moisture within surfaces that are outside the normal range. When there is a variation, normally higher moisture content or where the test tapping indicates some degrading of the timber especially excavation by insects sometimes, decay is the first indications. In conjunction with the test tapping, moisture meter and Termatrac, we also use a thermal image camera. This camera is broadly used to determine areas of moisture especially around bathrooms, kitchens, laundry and between floors in two-story houses. Moisture in these areas would indicate water leaks that encourage termites into the vicinity. On a micro basis, moisture in a skirting board or behind a wet area (like shower cubicle) may be caused by a variety of reasons. It could be active termites, a water leak or it may be something simple like a change in the waterproofing material in this area. So, a technician trained in the use of thermography will be able to determine if there is the need for a more invasive inspection. Keep in mind that monitoring of these areas is advised. The moisture meter should be run around all available timbers especially skirting boards, architrave and window sills. The test tapping of the timbers is again required in all these areas. While you are doing this, it is essential that the inspector visually inspects any gaps between the skirting, architrave, the main wall material (gyprock), et cetera. It is because if termites have been in the vicinity or are in the vicinity, they would mud up the small gaps to preserve humidity. Equally important is when you are test tapping, you need to listen very carefully to the sound of the tapper on the material. This determines if there is any cavity within which is indicated by a change in the tone of the tapping – a little bit more drummy to at the extreme where it is like hitting a piece of paper with a screwdriver. This may indicate active termites or a previous infestation. Here at Defence Pest Management, our inspectors are fully trained and licensed. We regularly conduct updates and share experiences about termites. Termite inspections are the putting together of training and experience to determine the risk of termites, as well as manage the treatment of termites, to a property. There is damage caused by Borers, Termites (both subterranean Drywood and Dampwood), decay and insects that feed on decayed timber such as carpenter ants and decay moth. And in some cases, Defibration where a chemical reaction takes place breaking down Lignin which is the material that binds fibres in timber together, basically it’s glue. Also, there are fungi which destroy timber. Throughout Australia, various types of borers do damage to timbers in use in dwellings and commercial buildings in Australia. Borers are also found in furniture stored in homes and offices. As pest controllers in Queensland, we are called upon to identify a number of these annually. Powderpost Beetle, Furniture Beetle, Pinhole Beetle and in Queensland a beetle called Calymmaderus incisus or the Queensland Pine beetle. And to a lesser degree in the southern parts of Australia The European House Borer. In Queensland, Defence Pest Management is most often called upon to treat a number of termite species. The most damaging species of termites in Australia, mainly because they are found throughout the Australian mainland and interior is Coptotermes spp. In south-east Queensland, this species was the most commonly treated when I first started pest control. Now 30 years later the species Schedorhinotermes spp appear to be the most commonly located and treated by Defence Pest Management. As well as the above we do see Heterotermes spp. and another species Microcerotermes spp. Though these species sometimes are located inside homes, they are more generally found in retaining walls sleepers and fencing. Lastly but not least the nest builder Nasutitermes spp. In the dryer more, tropical parts of Queensland there is a species of termites called Mastotermes sp. A little harder to locate are drywood species of termites this species of termites attack both furniture and timber in use. Commonly called the West Indian Drywood Termite when I started in pest control I was told they were initially imported into Australia from Southeast Asia in furniture. Treatment is by fumigation. Some of the older residents of Brisbane may remember the old museum being fumigated. It has been suggested that the West Indian Drywood termite is the most damaging termite in the world. There is a local species Cryptotermes primus they are a true Drywood species and do cause damage to Timber in use. Decay moth and carpenter ant damage are sometimes confused with termite damage. This is why the importance of a trained Timber Pest Specialist is invaluable as these pests do not typically require treatment. The carpenter ant remove the decaying wood, and this sometimes may appear as termite damage. Similarly, with the Decay Moth. Treatment of pinhole borer is considered unnecessary as they do not reinfest. The Powder Post Beetle may require treatment. The type of treatment will depend entirely upon the circumstances of the timber, and where it is used, the age of the wood as these beetles normally attack timber in use within the first 12 months. Again, an experienced pest controller will be able to guide the homeowner in the best manner of control. Lastly, the Furniture Beetle will require treatment, this could range from injecting insecticide into the borer holes right through to fumigation, again depended upon the size and location of the infestation in the timber. If damage is located in timber caused by subterranean termites, treatment will need to be undertaken. The extent of the treatment and type of treatment will depend entirely upon the species of termites the location of the activity and the degree of infestation. When a termite nest is located treatment of the nest will destroy the entire colony, you may need to monitor areas where infestation was located to ensure all termite activity has ceased. Where a termite nest has not been located all areas of activity are treated remotely to destroy the colony. This may involve baiting, foaming (with an approved insecticide), introducing insecticidal dust directly into the termite workings. Lastly where the species are termites, and the degree in their station dictate a significant and permanent termite treated zone. Treated Zones are employed around homes and commercial buildings and have a life of up to 10 years. The West Indian Drywood Termite will require fumigation to ensure complete control. Ongoing inspections will be required to ensure no surviving colonies. In the case of Cryptotermes primus, localized treatments are usually sufficient. It would be my advice that you call a company like Defence Pest Management who have had the training and the expertise to identify the type of damage, determine the insects causing the problem and make recommendations for treatments if required. All my technicians are fully trained and licensed, and the company is registered with the QBCC: with professional indemnity insurance. Defence Pest Management uses the most modern equipment, for example, Termatrac, briefly Termatrac is a microwave device that picks up movement inside walls combine this movement with high moisture and damage, and you have an elevated chance of having active termites. We also use moisture meters which are very useful in the location of termites and moisture problems that may lead to termites. Also, these moisture meters will indicate areas at high risk of decay. Lastly, we have thermal cameras – these are exciting tools that pick up subtle variations in temperature inside walls that can be caused by many different reasons. But when you look at them from the viewpoint of results, from test tapping timbers, using a moisture meter, indications from a Termatrac, it is possible to locate bivouac areas (small sub colonies) or even main colonies inside walls. The thermal camera is excellent at detecting water leaks. The inspector test taps available timbers the resonance of the tapped timbers are a good indication of termite infestation though not necessarily one that is active at the time of the inspection. Our advice is that you undertake an annual termite inspection or if you find unexplained damage to Timber get professional advice from a qualified and experienced Timber pest specialist.